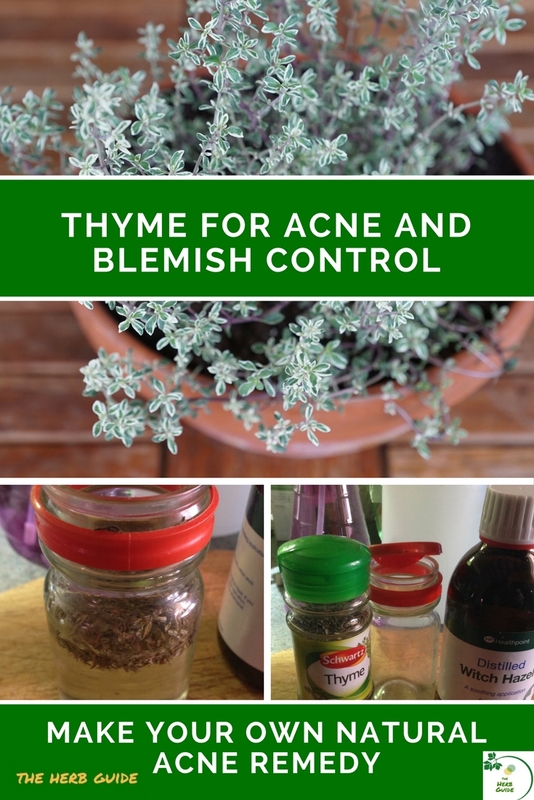 This herbal acne remedy uses just two ingredients - thyme and witch hazel. One of the problems with acne (whether pregnancy, teenage, adult, chest, back, face) is that it will respond to one treatment for a while and then flare up again. It's almost as though whatever you're using is 'feeding' it. That's why a few different natural acne remedies can be useful to give you a change. You'll need 1 Tablespoon of dried thyme and 3 to 4 Tablespoons of Witch Hazel. Watch this short video to see how easy it is to make. There's a transcript below and there are also captions if you can't have the sound on. A word of caution if you're pregnant. Don't substitute thyme oil - you're not ingesting it, but thyme oil is on the list of things to avoid during pregnancy. The whole herb, dried or fresh is perfectly safe to eat. Some people say that witch hazel might be unsafe for pregnant women, but it's on the recommended list for treatment of haemorrhoids - so if it's safe to dab on down there... Do check with your doctor or nurse - as always, caution is the best bet when you're pregnant. 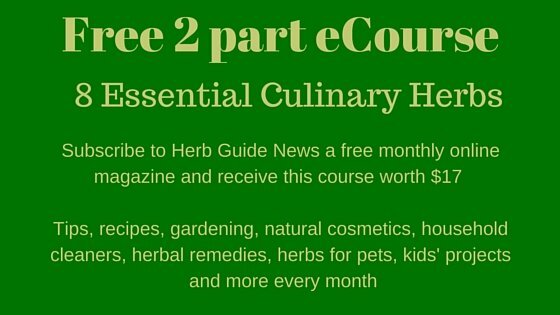 In this video I’m giving you a herbal acne remedy. It uses just two ingredients that you might even have at home already - if not, a trip to the stores will get you them within minutes. You’ll need an empty glass jar. Sterilise it by boiling in water for 10 minutes and allow it to drain. You’ll also need some dried thyme and a bottle of witch hazel. Put one tablespoon of dried herb into the jar. Top it up with four tablespoons of witch hazel. Put the lid on and give it a shake so that the herb distributes through the solution. As soon as the liquid becomes the colour of tea, you’ll know that the anti-bacterial properties of the thyme are being extracted. This will take about thirty minutes. You could if you wanted use it straight away, but don’t strain the thyme off just yet. Leave the thyme in for about five days - you can see how much darker the liquid becomes. Then strain it into a clean jar - don’t forget to sterilise that jar by boiling for ten minutes. Hygiene is really important when it comes to treating acne. Don’t worry about the colour, it won't stain your face - you can see from this pad that it’s virtually colourless when you use it. For the best results for your acne, use this toner morning and night. You should see a difference in your acne within a few days. Store it in a cool place out of the light. 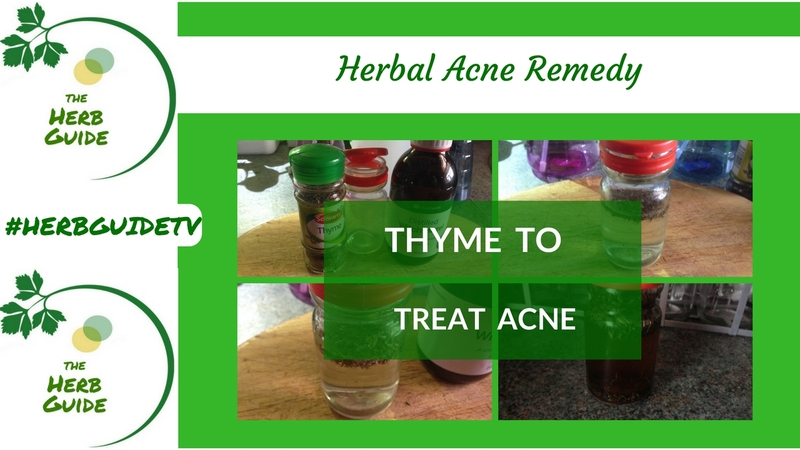 It should last around a month, so start making some more of this herbal acne treatment in the last week. Do join my YouTube Channel - I make weekly videos and if there's something special you'd like me to cover, please drop me a message.